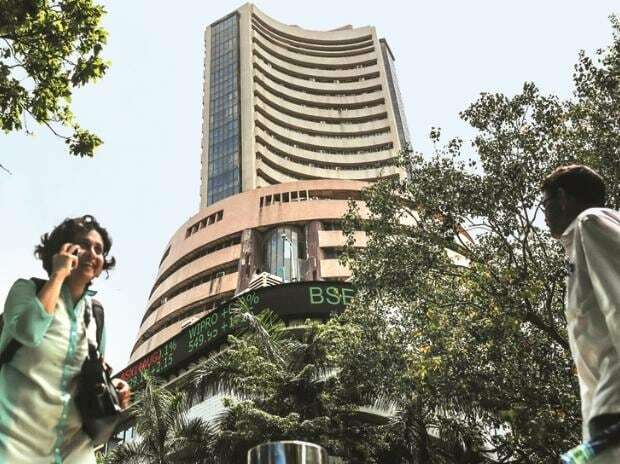 The benchmark Sensex on Wednesday advanced for the first time in 10 days, supported by positive global cues and value buying from investors. The 30-share index rose 404 points, or 1.14 per cent, to end at 35,756, while the Nifty snapped its eight-day losing streak, ending 131 points or 1.24 per cent higher at 10,735. Nearly 90 per cent of Sensex and Nifty components ended with gains as investors resorted to value buying, judging recent losses as excessive. 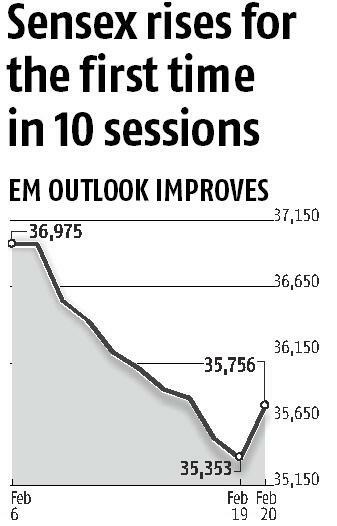 Prior to Wednesday’s session, the Sensex had shed 1,600 points, or 4.5 per cent, after nine successive days of declines, its longest losing streak in eight years. “Positive global markets lifted the domestic market sentiment. Expectation of dovish minutes from the US Fed and resumption of dialogue between the US and China provided an impetus. Strong inflows from institutional investors, appreciation of the rupee and value-buying helped the market’s stride,” said Vinod Nair, head of research, Geojit Financial Services. Both domestic as well as foreign institutional investors (FIIs) were net-buyers to the tune of Rs 113 crore and Rs 713 crore respectively, provisional data provided by stock exchanges showed. FIIs were heavy sellers in the past few sessions amid flare up of cross-border tensions between India and Pakistan. Besides, the election uncertainty and rising oil prices weighed on sentiment towards Asia’s best-performing major equity market of 2018. The performance of Indian equities has diverged from their broader Asian peers in 2019. In recent weeks, the outlook towards emerging market stocks has improved, thanks to growing optimism that the US and China will resolve their trade dispute and the dollar could weaken as the Federal Reserve pauses its rate hiking program. The nine-day slide had pushed the Sensex back under its 100-day moving average. A break below is typically considered a bearish signal by technical traders.